Meet Prakriti – the Marine Turtle Rescue Centre’s first volunteer. 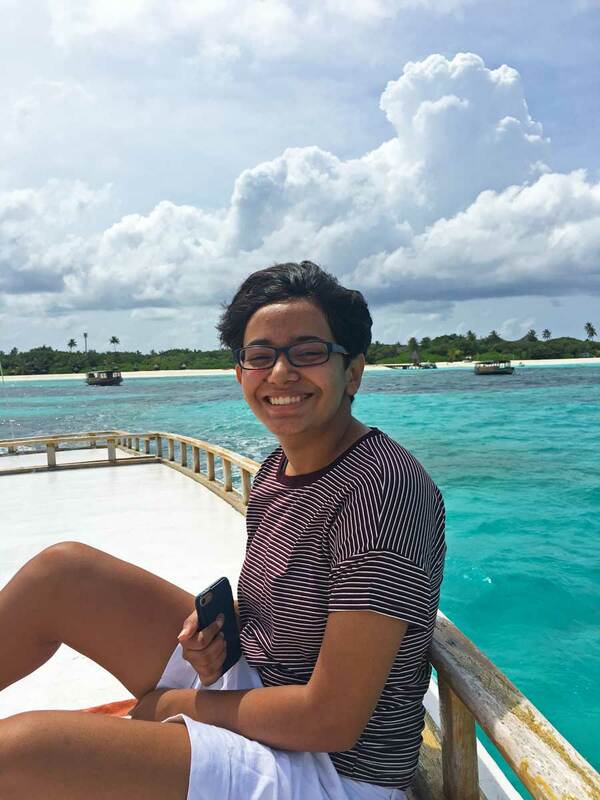 Prakriti first visited Coco Palm Dhuni Kohlu as a guest with her father earlier this year. She spent every available moment at the ORP Marine Turtle Rescue Centre and formed a strong bond with Beyonce, one of our first turtle patients. She jumped at the chance return as a volunteer. 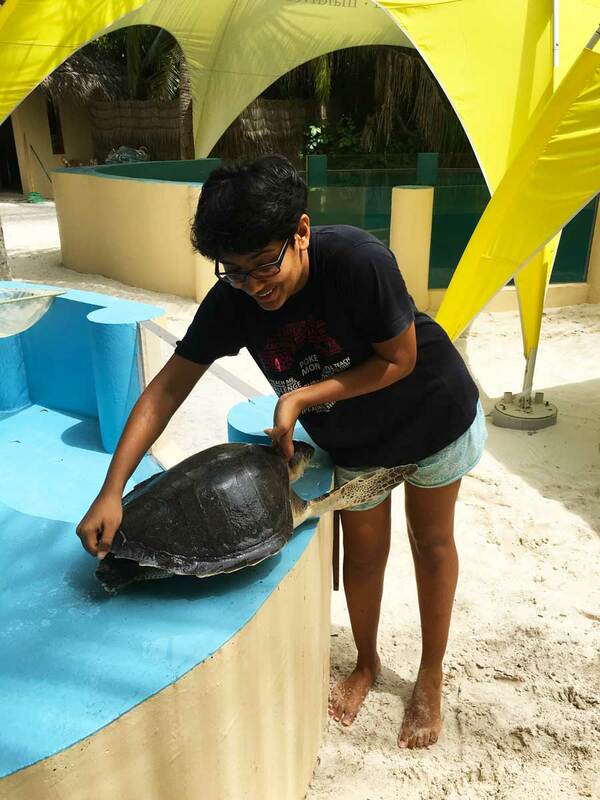 Whenever I had some free time, during my stay at Coco Palm Dhuni Kohlu, I visited the Marine Turtle Rescue Centre. At the centre, they take in injured turtles, treat them, and help them make a full recovery until they can (hopefully) be released back into the ocean. 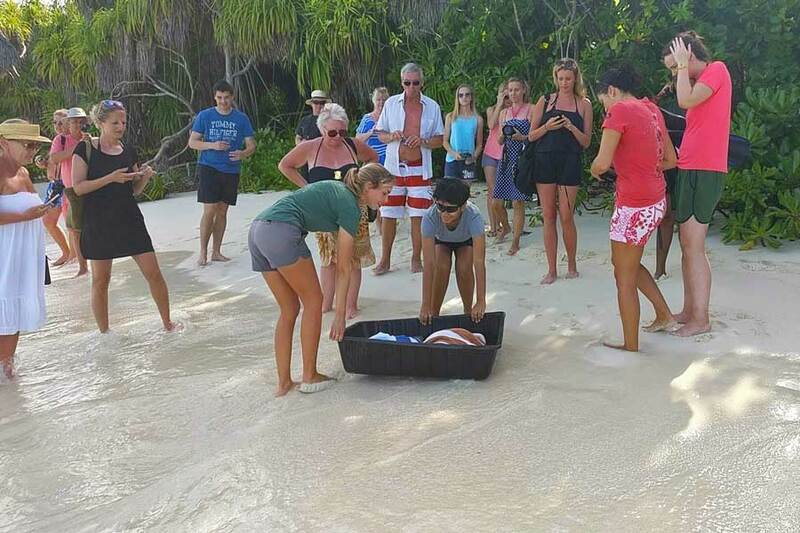 Claire, the vet, would frequently have to perform flipper amputations on turtles that had been injured from being entangled in ghost nets. I could easily have spent hours observing the turtles swimming around and doing their own thing if I didn’t have other activities lined up. My favourite turtle, with whom I spent the majority of my time, was Beyonce, and I constantly took pictures of her and shared them with my friends. When I returned to India, the thought that I would never see Beyonce again crossed my mind many times and left me with a bit of a heavy heart. So when I read about the Volunteer Program with The Olive Ridley Project, I jumped at the opportunity! Within the hour I had sent the application, got a conformation email back, and started booking my tickets. On my return to Coco Palm, I was very excited about the work I was going to do. Animals, and especially turtles, have always been close to my heart. Being able to help them was a dream come true. Getting to meet the turtles again was amazing enough. I was even more thrilled when I found out that Beyonce and Noor, another Juvenile Olive Ridley turtle, would be released two days after my arrival to celebrate World Oceans Day. In the days leading up to the release, everybody on the island was quite psyched. Even Beyonce seemed to know exactly what was going on! She tried her utmost to escape from her tank as if to show how ready she was. 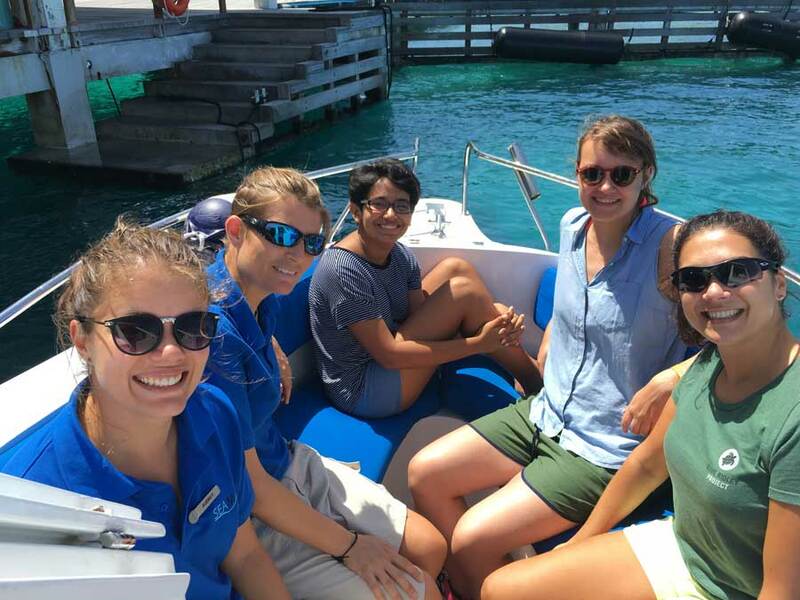 On the day of the release Nina, the marine biologist who’d found Noor came to see her release. As soon as Claire put Beyonce into the water, she shot off like a bullet without looking back. Noor was a bit more chilled out and took her own sweet time. However, when Claire, Nina and Charlotte (my co- volunteer) swam a bit closer, Noor too decided it was time to leave. It’s been a week since we’ve released Beyonce and Noor. Almost everyday the question of what they must be doing comes up at breakfast. The release was quite a bittersweet experience for me. I was almost certain that I would never see Beyonce again, so seeing her healthy enough to be released back in the ocean was incredible. This experience as a volunteer has been beyond amazing and very enlightening. It’s so fulfilling to know that you’re doing good work and how much of an impact it has for these turtles.